If you've noticed there isn't a huge selection in stock on our site, that is because all our designs are limited edition. Because we make everything start to finish in one warehouse in Southern California we have a limited production capacity. When a design sells out, it is gone! Please be sure you subscribe to our newsletter at the bottom right of this page so we can notify you as soon as a new design launches! You don't want to miss out! We apply our art by hand to each panel of our amazing feeling performance fabric before sewing. (For one shirt that is 6 pieces of fabric!) We use a process of heat and pressure that allows our art to stain the fibers of the fabric so you can't feel it and it doesn't fade, crack or peel. This also means our performance fabrics still feel silky cool, wick away moisture and breathe as they were intended to do. Once the art has been applied to the fabric pieces, sewing is next in the process. Our mature and experienced staff are experts on the specialized machines we use to sew each style we make. Almost every seam in our tech shirts is sewn twice to ensure strength and also to ensure the seams are flat to prevent chafing or rubbing. 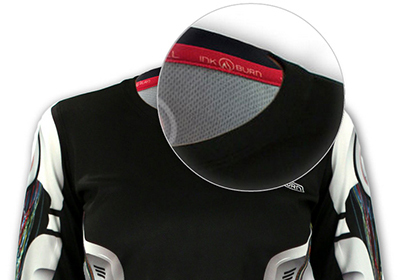 The neckband on the back of our shirts contains the usual tag info back of your neck, without a scratchy tag. We use the softest threads available to be sure our shirts are the most comfortable you will ever wear. 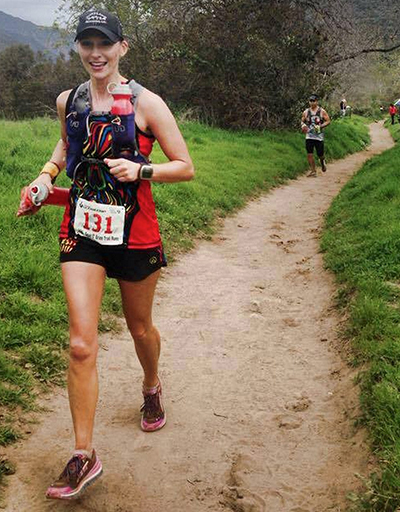 All of our styles are tested on ultra runners at extreme distances. If you aren't familiar with this remarkable sport, it is for people who like to run distances longer than a marathon, (typically 50k to races that cover over 100 miles. Often that requires over 24 hours of running!) If you have one seam that rubs when you do a distance like that, you will be bleeding by mile 20. We rely on feedback from ultrarunners to test the limits of our performance clothing in extreme conditions and high mileage. 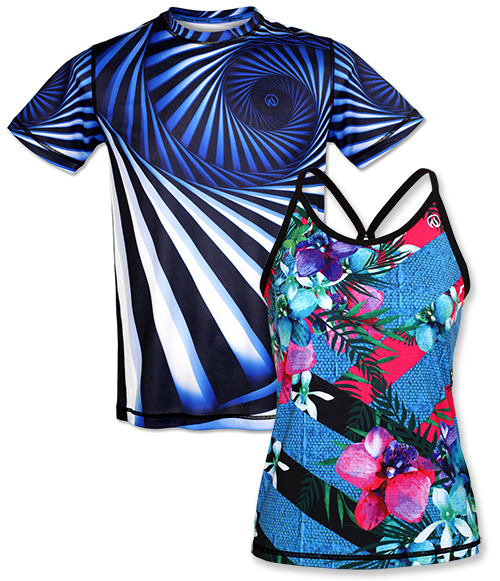 We've found if these athletes like a style, it works for almost any other athletic endeavor! While we started designing for ultra runners, we now have people running in our apparel for all distances, as well as yoga, spin, rock climbing, golf, tennis, MMA, crossfit and biking to name just a few. Our clothes are great for travel and are even showing up at offices because they are so comfortable and don't fade. We recently heard from a neuro surgeon that likes to wear INKnBURN under his scrubs in the OR because of the comfort and breathability! We design for people that don't feel the need to blend in with the crowd. We want to make clothing you love so much that it inspires you to do your laundry more often so you can wear it more. We want to be the company that puts a smile on your face when you put on our clothes and others smile when they see you wearing them. We want to make the clothing you reach for when you want to defy expectations, set PRs, and accomplish your dreams. If it sounds like INKnBURN is the right brand for you, start shopping! We ship all over the world daily! If you'd like to touch and feel before you buy, check out our Store Finder for a store near you.